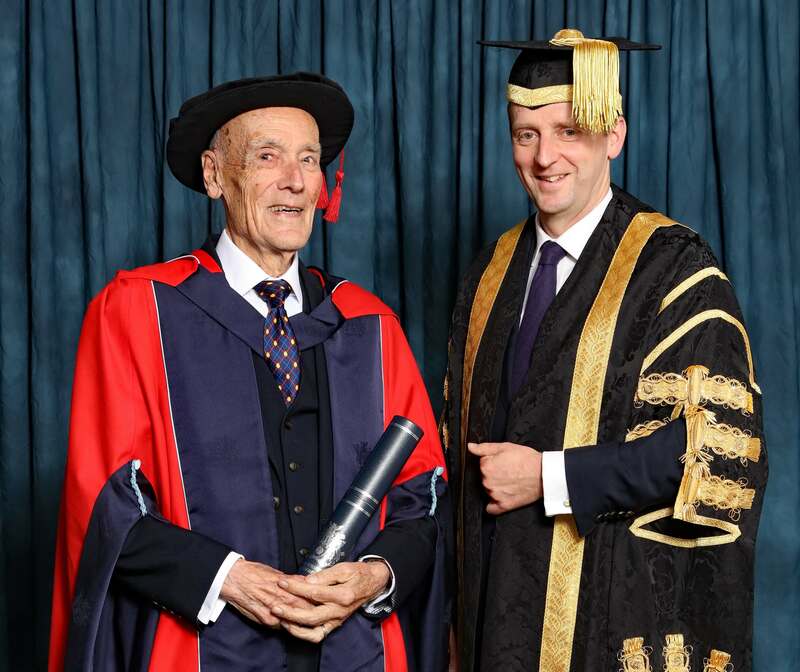 Derby’s former Chief Nurse, a world-leading butterfly expert and the chairman of a global drinks company received Honorary Degrees from the University of Derby at Award Ceremonies this week. Thousands of graduating students, guests and VIPs attended the Ceremonies, which are a highlight of the University’s calendar. They took place on Thursday 22 and Friday 23 November, at Derby Arena. Kay has had a long and distinguished career in nursing in the Midlands. Qualifying through the Warwickshire School of Nursing in 1980, she rose from front-line nursing into education and management during her 37-year career, latterly as Chief Nurse in Derby and Birmingham. On retirement from the NHS, Kay took up a portfolio career and has contributed to the significant transformation of the support worker workforce. She led the development of the national Care Certificate in 2014 for Health Education England, an agreed set of standards for specific roles in the health and social care sectors. She has also made a significant contribution to the development of apprenticeship standards for healthcare support workers and the development of the nursing degree apprenticeship, working closely with the University in this area. In 2014, Kay was awarded an OBE for services to nursing. Kay has recently come full circle and returned to health care services in Derbyshire as non-executive director at Derbyshire Community Health Services. 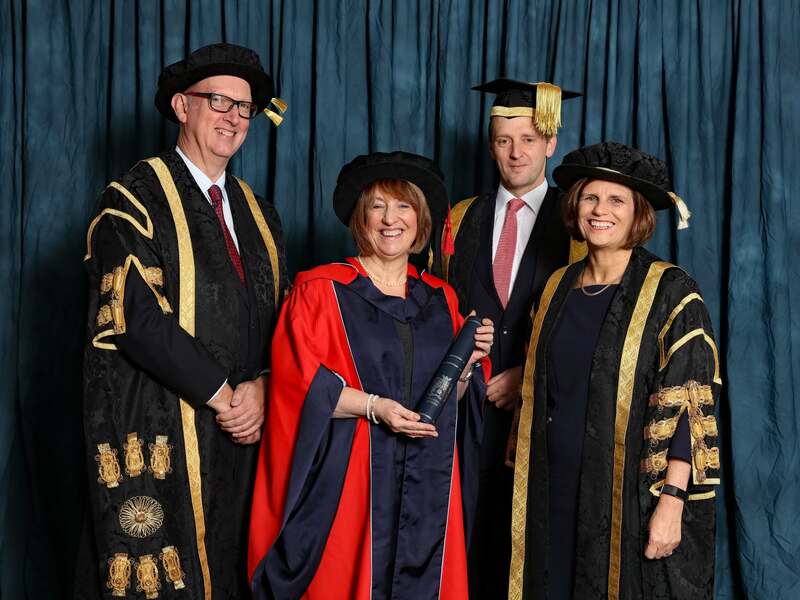 The University recognised Kay’s achievements in the provision of health and social care education and her impact on the healthcare workforce. Steve Perez is chairman of Global Brands, a leading independent drinks business, and owner of Casa Hotel and Peak Edge Hotel in Chesterfield. Steve grew up in Chesterfield and founded the Global Beer Company in 1986, initially selling imported beer to local pubs and clubs from the back of a van. The University recognised Steve’s achievements as a local entrepreneur and his impact on the local economy. Colin has dedicated his life to exploring the world and discovering butterflies. He has studied and identified hundreds of new species and is one of the world’s leading experts on the butterflies of the Philippines. Colin enjoyed a long career with Procter & Gamble, being appointed Manufacturing Director of the company’s German operations in 1978, and pursued his interest in entomology in his spare time. In 1978, he began publishing work with the help of scholars in the field, and has produced more than 100 publications to date. After his retirement from Procter & Gamble in 1987, he made research trips almost every year to the Philippines, camping for weeks in jungles where he encountered pirates, guerrilla groups and giant snakes. Since his move to Derby, Colin has been a friend to the University and has shared his great knowledge and experience of working on butterfly taxonomy with staff and students. The University recognised Colin’s significant contribution to butterfly research. 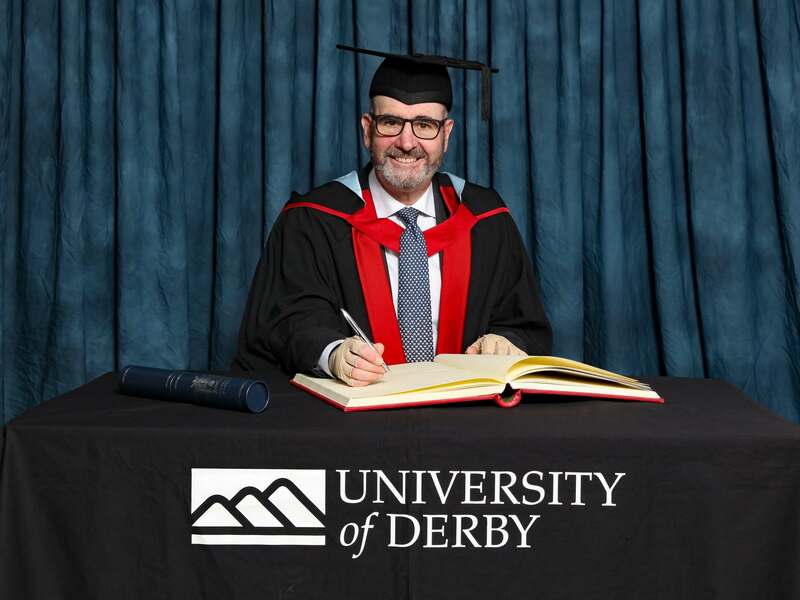 Professor Kathryn Mitchell, Vice-Chancellor of the University of Derby, said: “It is always a pleasure to present Honorary Degrees to those who have played such a significant role in our region, and Kay, Steve and Colin are no exception.